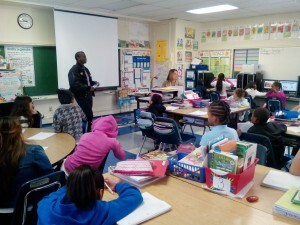 Representatives from TAM visited Longfellow Elementary School in Compton on Nov. 18 as part of the school’s Career Day. James Knox and MacArthur Dandridge visited the school and spoke to students from various grades about the opportunities available in learning about aviation. 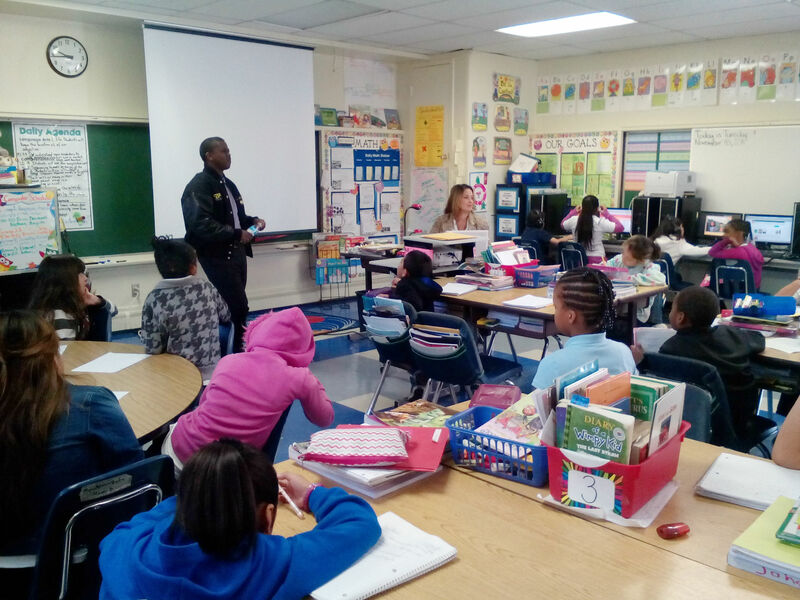 MacArthur Dandridge gave a presentation to students of Longfellow Elementary School about what he does at TAM and how kids can also get involved.MacArthur Dandridge used his experience at TAM to motivate students to stay in school. 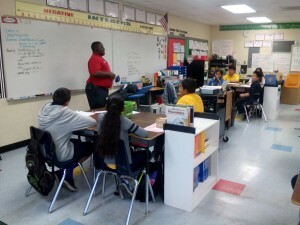 Knox and Dandridge, both former Longfellow students themselves, were able to show students what they can achieve if they apply themselves in school and go after their dreams. As part of their presentations, they also mentioned that students can begin to learn about aviation by simply visiting TAM and taking in all it has to offer. 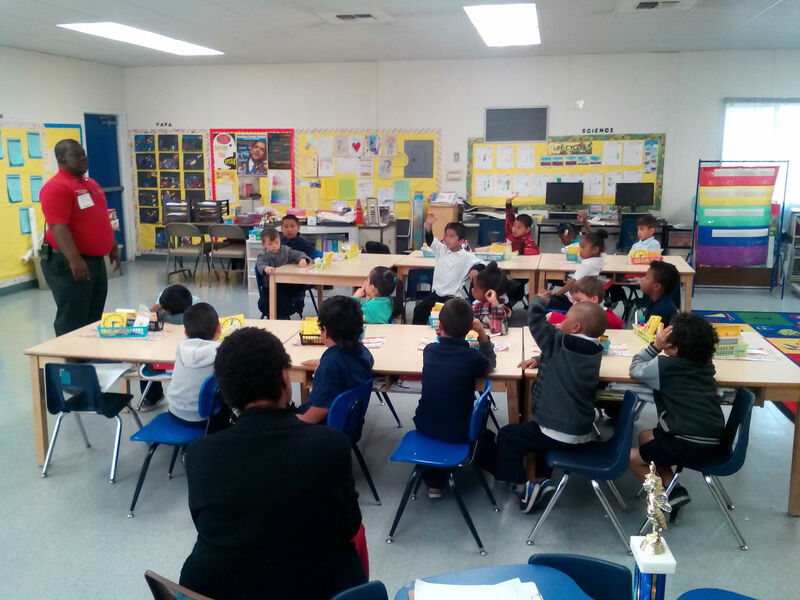 Other speakers were on hand for this Career Day, such as musicians, graphic designers and businessmen and women, but students seem the most intrigued with TAM’s young pilots, inquiring about learning to fly and being a part of the TAM experience. 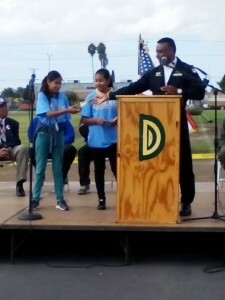 MacArthur Dandridge used his experience at TAM to motivate students to stay in school. Students flocked to helicopters that landed on the campus of Davis Middle School on Nov. 12, courtesy of the Los Angeles County Sheriff's Department and TAM's Robin Petgrave. 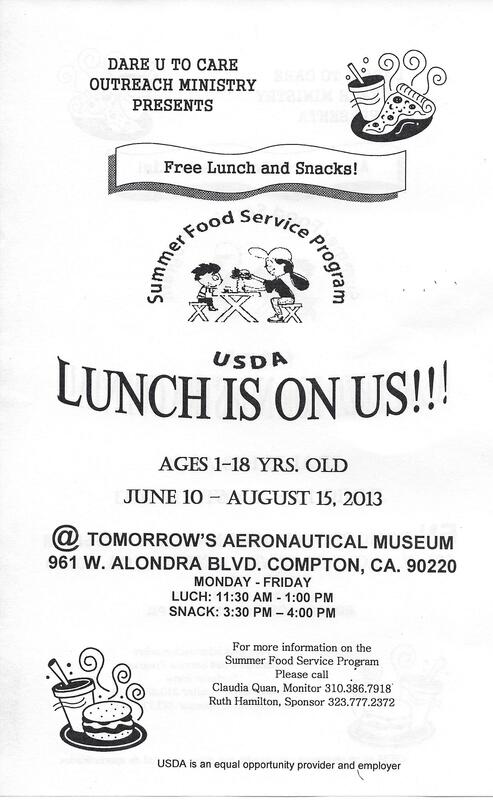 Benjamin O. Davis Middle School in Compton was the site of a visit from very important figures in aviation. Guinness world record-holding pilot Barrington Irving and Tuskegee Airman Levi Thornhill visited Davis Middle School on Nov. 12 as part of the school’s inaugural STEM (Science, Technology, Engineering and Mathematics) celebration. Thornhill and Irving’s visit was made possible thanks to Executive Director Robin Petgrave and Tomorrow’s Aeronautical Museum. Petgrave, along with Irving, landed on the campus of Davis Middle School, along with members of the Los Angeles County Sheriff’s Department. 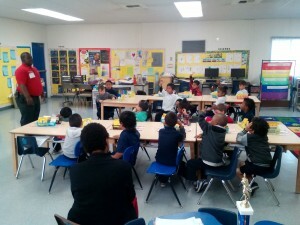 Irving, Thornhill and Petgrave delivered a message to students from Davis as well as schools across the Compton Unified School District regarding the importance of focusing on studying and staying in school. Tuskegee Airman Levi Thornhill spoke to students on Nov. 12 at Davis Middle School. Thornhill spoke on how vital it is for students to prepare themselves for the future by applying themselves in school. “The better you prepare yourself, the better job you’re going to do, the better life you’re going to have, and the better contribution you’re going to make to mankind,” Thornhill said. TAM Executive Director Robin Petgrave taught students at Davis Middle School about the power of observation. Petgrave did so by rewarding two lucky students with 20 dollars each. Petgrave also spoke to the students, displaying a brief demonstration, in which two lucky students received 20 dollars each, simply for doing what Petgrave describes as seizing an opportunity. Petgrave told the students that simply by showing up to class every day, they are seizing the opportunity to do something great. Irving was the final speaker at the event. 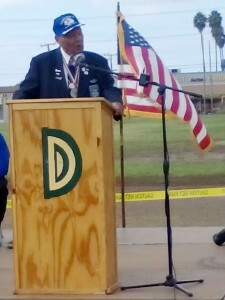 Irving emphasized to the students that he would not have had all the accomplishments he is known for, including being the youngest pilot to ever fly solo as well as being the first African-American to fly across the world, if it weren’t for applying the skills he learned in school with regard to science, technology, engineering and mathematics. 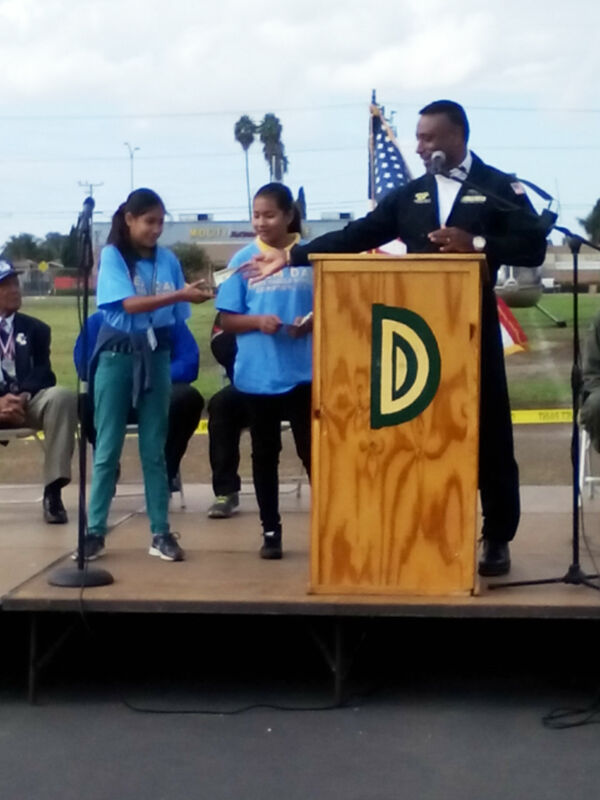 After the presentation, students had the opportunity to sit in the helicopters flown by Petgrave and the LASD, with assistance from TAM’s own, James Knox, Kenny Roy and MacArthur Dandridge. Local news station ABC 7 was on site to report on the event and spoke with the event’s guests. You can find the story here. Your Vote Counts! Click to Vote. 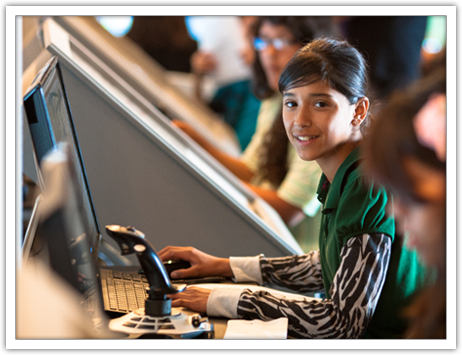 Each year, the Lightspeed Aviation Foundation is proud to recognize a select group of deserving aviation non-profit organizations nominated from members of the aviation community. 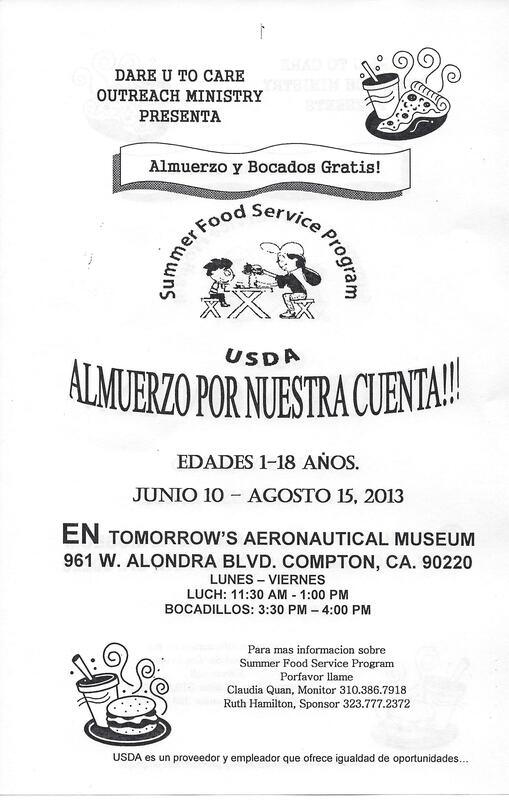 Help Tomorrow’s Aeronautical Museum spread the word about their mission and the opportunity to be awarded up to $10,000. Please VOTE one time. If you also “like” Lightspeed Aviation Foundation on facebook, you will be entered in a drawing to win a pair of Lightspeed Aviator Sunglasses! 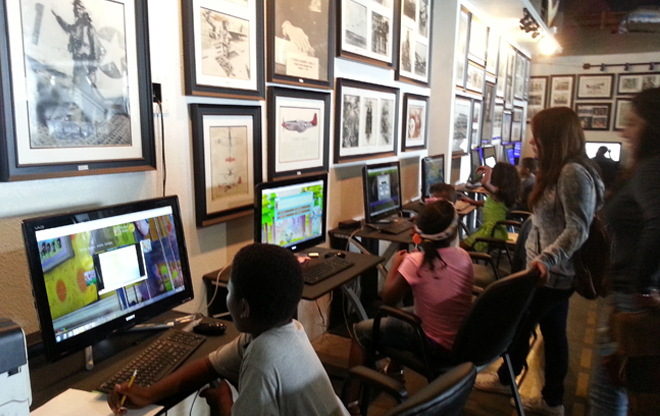 The Tuskegee Airmen Learning Center was originally an exhibit of images and memorabilia donated by Tuskegee Airmen Los Angeles Chapter. The center was renovated during the MLK Jr. Day of Service with L.A. Worksand hundreds of volunteers in 2000. 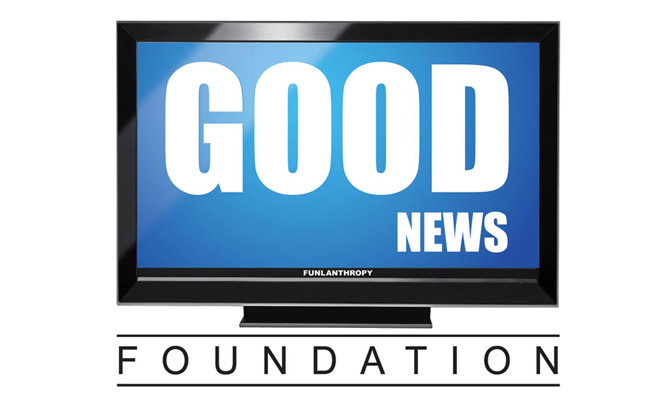 More recently, the Good News Foundation added a Good News Room that has transformed a community. 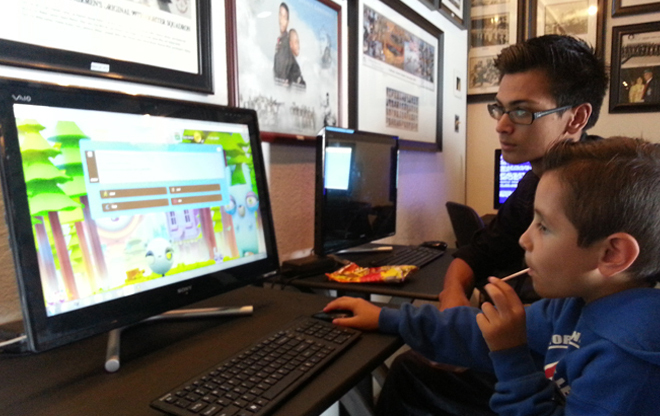 The addition to our After School Program of state-of-the-art touch screen computers and software in our Good News Room have been instrumental in helping the adults in the community apply for jobs, create/enhance resumes, and participate in webinars. So many youth and parents have been able to reenter the work force. 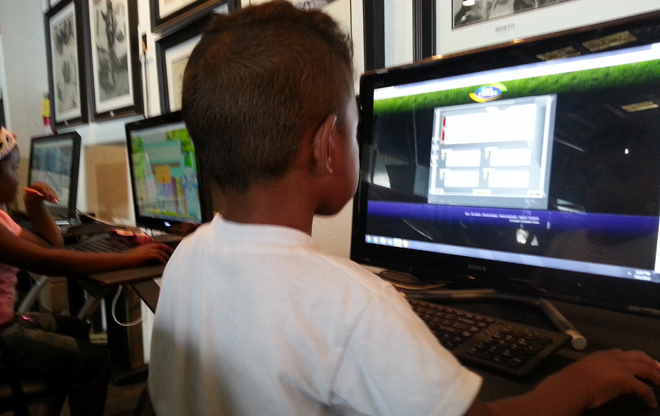 The children in our programs have used them to improve grades and performance in school. One child in particular was constantly getting in trouble and expelled from here. He would then get in trouble with the law and school officials. Once we got the Good News Room up and running Jamal did 5 hours of homework every day and started participating in sports in school. He has not gotten expelled or in trouble at school since the addition of the Good News Room. It has allowed him to change his attitude and afforded him the ability to express his intelligence and potential. We have many stories of how the Good News Room has literally saved our youth’s lives. 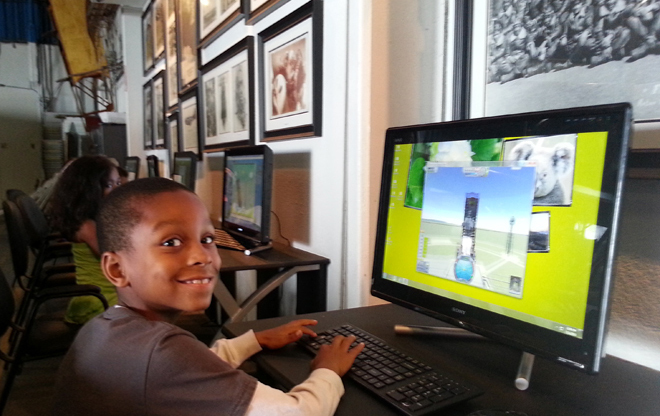 Other educational activities that we have been able to implement in the Good News Room include the Kerbal Space Program, Kids College, Stride Academy, X-Plane and Fly-to-Learn curriculum.Children are like film, The Good News Room gives them exposure and we have seen beautiful things develop.